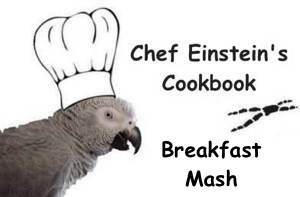 My breakfast mash is much like my bean and grain mash, but doesn't have the beans. It's really easy to make because you bake the grains in the oven. I call it "grain pilaf." 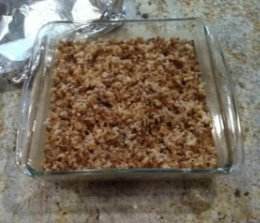 The grains are all very healthy, and often we bake a double batch and Marcia serves them as a side dish at dinner time! Use whole grain, not the rolled or processed kinds. The grains we usually use is oats, quinoa, amaranth, brown rice, buckwheat, spelt, hard red winter wheat, triticale, rye, and barley. You don't have to use all of them, just mix and match! 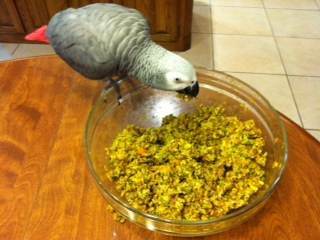 Here is the recipe for the grain pilaf. 12 oz. bag of frozen mixed vegetables (corn, peas, carrots, green beans) Steam or cook in a small amount of water, coarsely chop in a food processor. 1/3 cup of any other health seed or nut like pumpkin seed, sesame seed, almonds, walnuts, etc.